Last Friday we set off for the Scilly Isles, which lie just off the south coast of Cornwall. It felt like a real adventure, which was due in no small measure to the little propeller plane in which we made the journey. Flying across the sea at an altitude of only a couple of thousand feet was amazing. We spent our time, squinting down at the rugged Cornish coastline, trying to spot familiar features. The boys in our party (Emi and his Grandpa) were especially excited about our mode of transport. It was a short flight (half an hour) from Newquay to St. Mary's Airport on the big island of St. Mary's, and they enjoyed every last second of it. We were seated directly behind the pilot, so they had ring side seats from which they watched him closely. 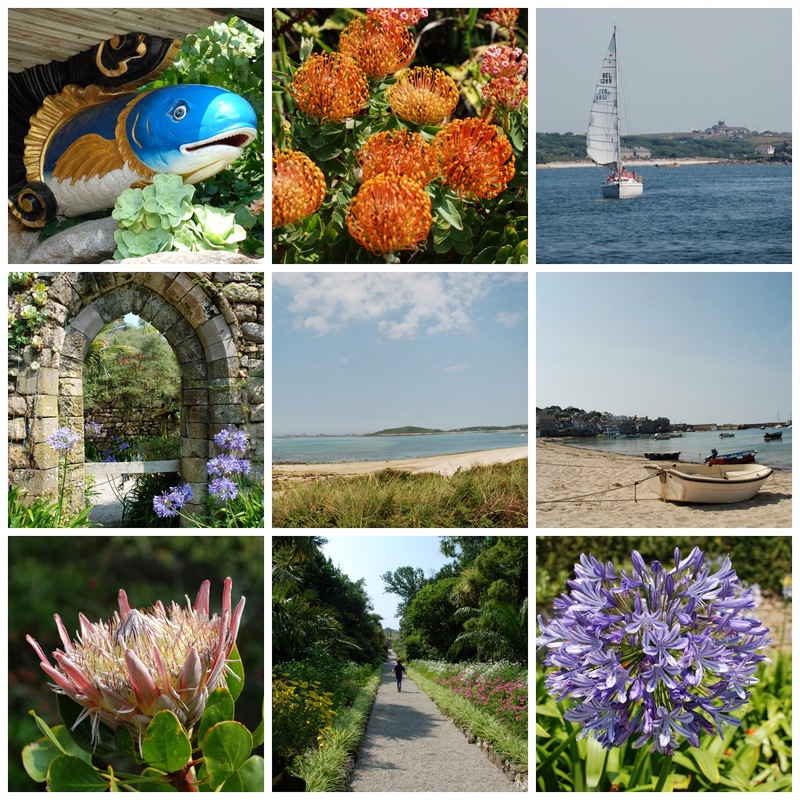 What can I say about the Isles of Scilly? Well on a balmy day in July with gentle sea breezes and warm sunshine they're pretty close to being a perfect island paradise. I must confess that they hadn't exactly featured large on my radar before our trip: I was vaguely aware that they existed from the bundles of lovely narcissi that they export to the mainland each year. It was my mother who suggested going there. 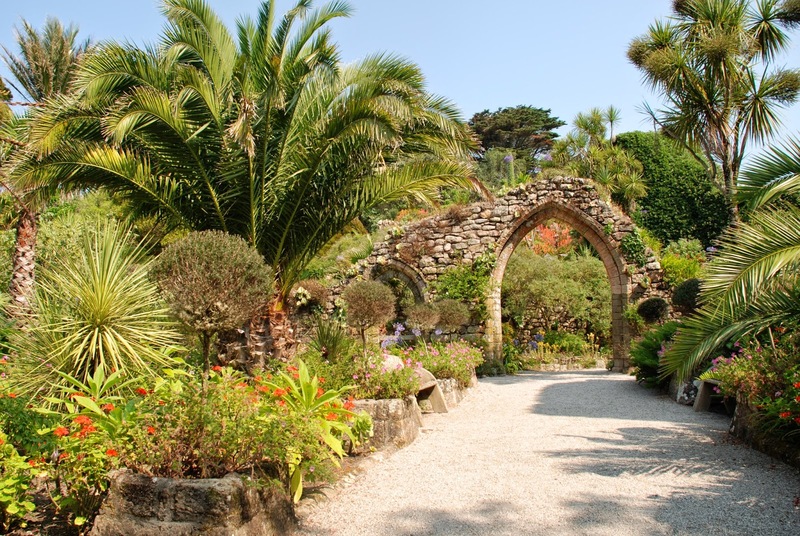 She's a gardening buff and wanted to go to see the famous Tresco Abbey Garden for herself. So, on arriving, we caught a ferry for Tresco, and sailed across the very calm inter-island sea. The water was crystal clear with forests of waving seaweed that moved gently to and fro with the current as we passed by. Once again the next leg of the journey to our destination was an integral part of our adventure, but then as T.S. Eliot once said: the journey not the arrival matters. The scenery was simply stunning with deserted, sandy beaches that seemed to go on and on forever. Before long I had developed a serious case of agapanthus envy. 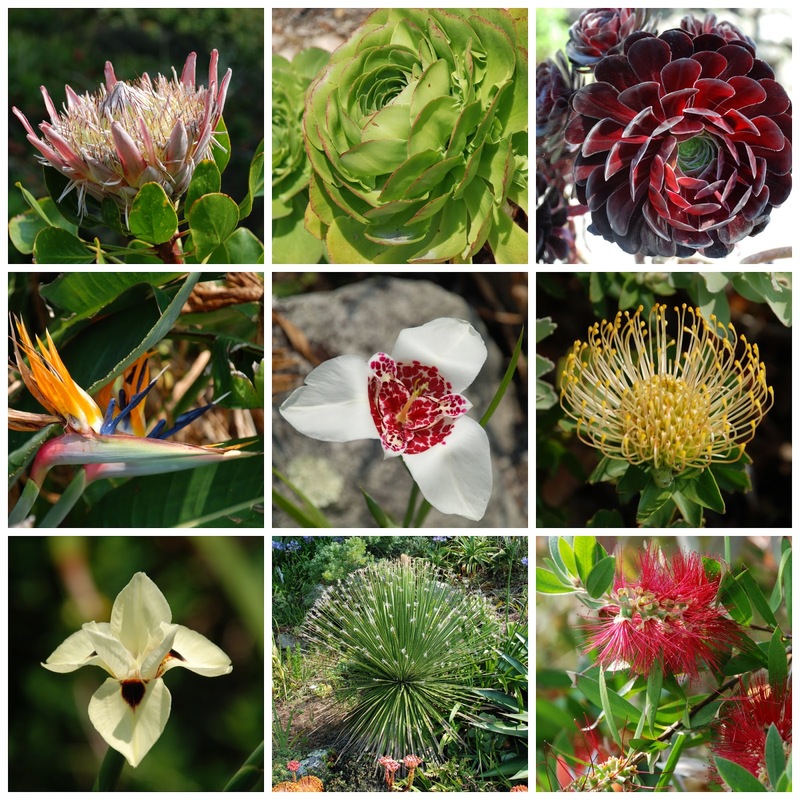 Everywhere you go on the islands you see these beautiful plants. No one seems to have planted them, or to be caring for them but they're flourishing all over the place, their wonderful blowsy flower heads nodding gently in the breeze. Just look at these chaps growing on some untended common land beside a pathway. Or these chaps growing in the sand dunes where we landed on Tresco. When we finally arrived at our destination the beautiful gardens did not disappoint. Over the years they have been exquisitely designed, landscaped and maintained. My parents were delighted with them. In fact we found it hard to believe that we were still in the United Kingdom, such was the abundance of rare plants from warmer climes. There were formal gardens with gothic arches that framed the views beyond with verdant foliage. And there was the most amazing shell house, which is just visible in the photo above. But, trust me, you really do need to take a closer look at this little beauty. Isn't it amazing? 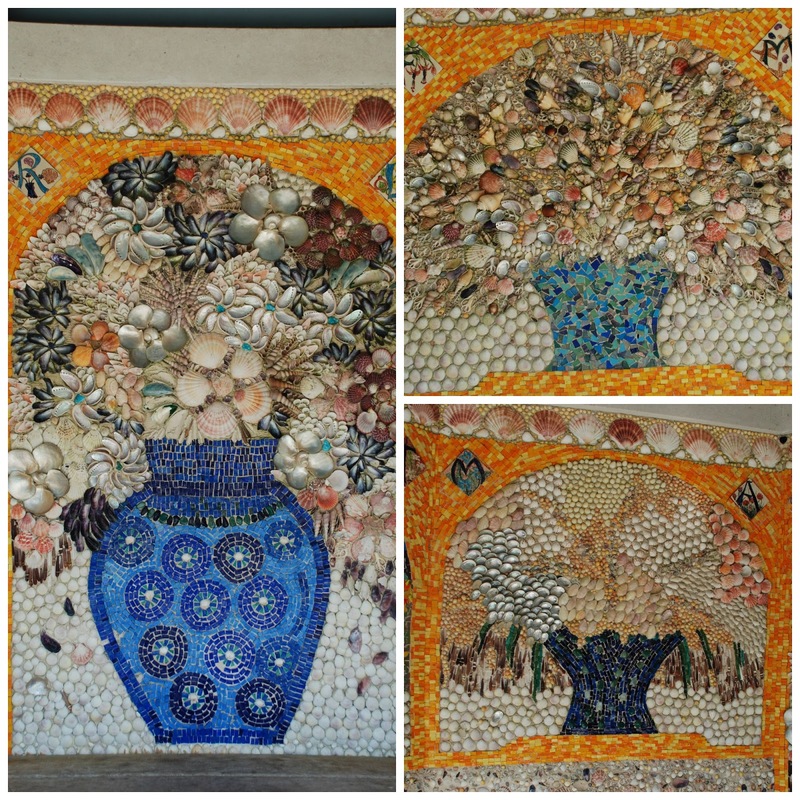 So many shells collected from the beaches and painstakingly arranged to make mosaics of such wonderful colour and texture. There were formal pathways that led off to immaculate lawns. And wild terraces where everything seemed to belong in another latitude or perhaps in a totally different hemisphere. This really doesn't look much like dear old Blighty, does it? Now the other thing that has to be said is that the gardens are pretty huge. We set off with great plans of following a methodical course up and down and back and forth along the pathways. My father was our designated map-reader, but we quickly abandoned the idea and wandered around at will, oohing and aahing with delight at each wonderful new thing we saw. You can meander up and down steps from one terrace to another. You might even meet Neptune on your travels. Or the children of Scilly, playing happily in the sunshine. 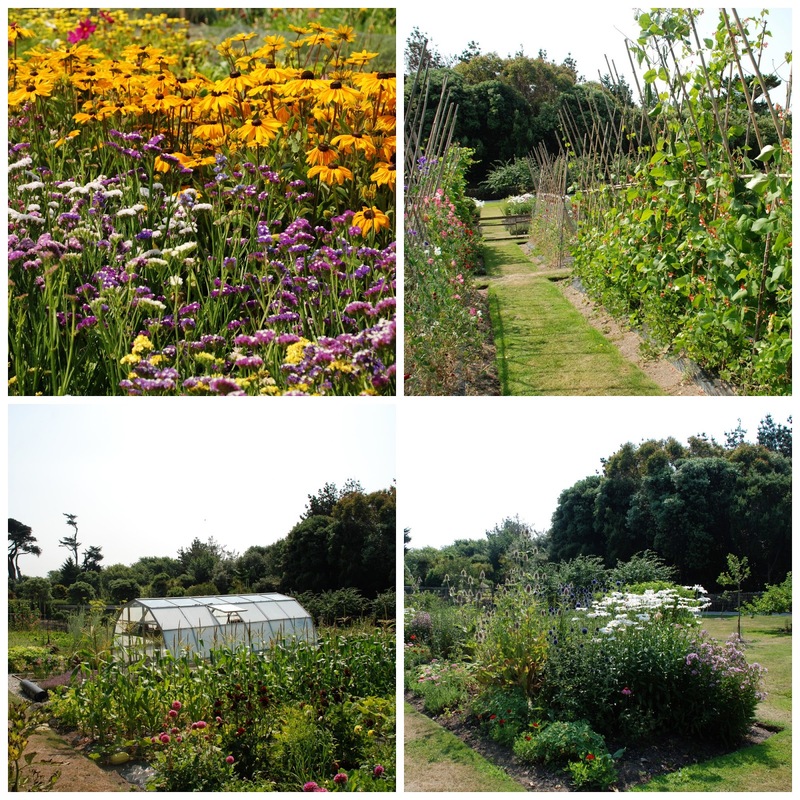 The gardens were laid out by a chap called Augustus Smith, who leased the Isles of Scilly from the Duchy of Cornwall in 1834 and created the (rather grand) title for himself of Lord Proprietor of the Isles of Scilly. He chose Tresco for his home, where he built a house, which he called Tresco Abbey. It looks over the grounds of St. Nicholas's, a ruined Benedictine priory on the landward side and across the inter-island sea to St. Mary's on the other side, and remains in private ownership. He used the old priory walls to shelter his garden, and also planted lots of tall trees such as Monterey Pines and Monterey Cypresses from California in groups on the upper seaward slopes to serve as wind breaks creating a sheltered eco-climate within his south-facing gardens. And, as you'd expect from any decent garden design, the ruins of the old Priory have been elegantly worked into the landscape to create the most sublime suite of gardens. St. Nicholas's Priory was built in about the twelfth century. In 1114 King Henry I granted a charter, through the Bishop of Exeter, to the Monks of Tavistock charging them with taking over the simple religious buildings on Scilly and establishing a priory on Tresco. This they duly did, importing some of the stone used to build their religious house from as far away as France. The priory operated until the late fifteenth century when it fell into disuse and disrepair, having been abandoned by the community under the pressure of recurring attacks by sea pirates. The islanders still held the grounds of the priory in great affection, and persisted in burying their dead there until the nineteenth century when the new cemetery at Old Grimsby was opened. 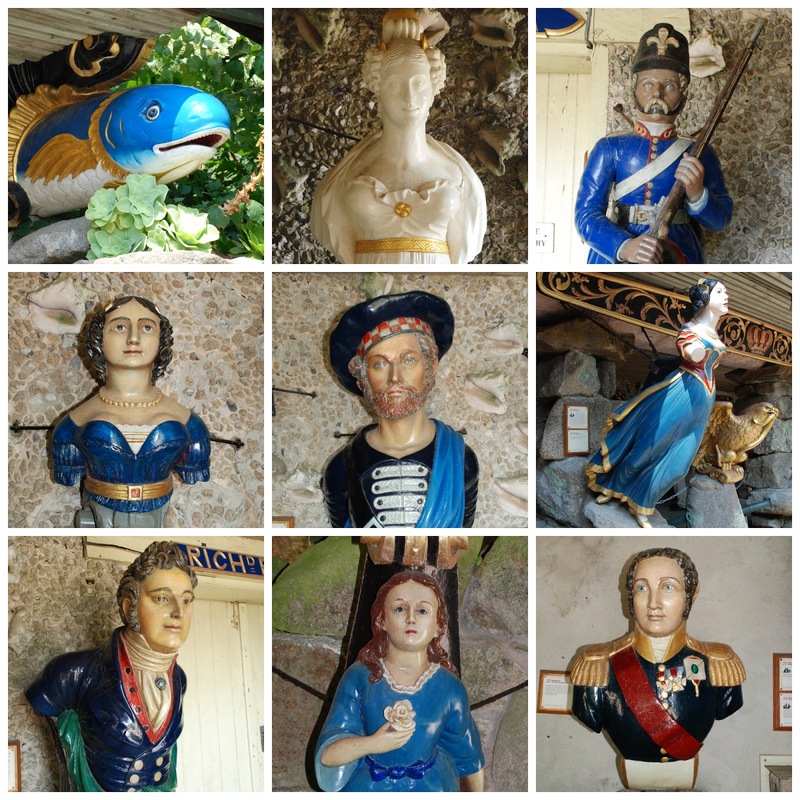 In about 1840, once he'd got himself nicely settled in at his new estate, and grown used to his rather grand title, Augustus Smith started to collect figureheads from the many ships that were ship-wrecked around the islands each year. There were rich pickings because the islands rise gently out of the sea, are surrounded by treacherous rocks that may not be visible at high tide and are frequently buffeted by gale-force winds and enshrouded in winter fogs making it difficult for sailors to spot the dangers until it's too late. In fact there are more shipwrecks around the Isles of Scilly than anywhere else in the world. Augustus Smith had the mastheads cleaned and restored. Then he built a special gallery to display them, which he called the Masthead Valhalla. After his death in 1872 his family carried on the collection, adding further mastheads from ships that ran aground over the ensuing years. And at the other end of the spectrum there's also a rather more domestic kitchen and cutting garden, which is lovely in its own right even if it lacks the drama of other parts of the gardens. 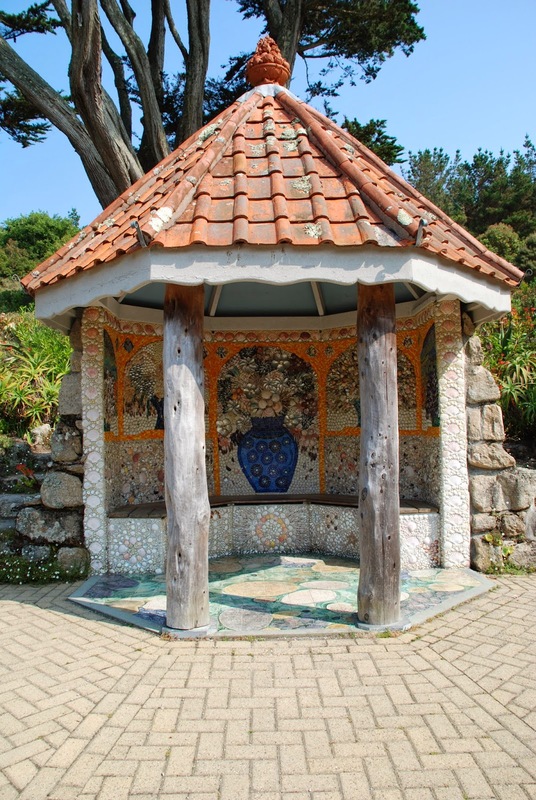 Whilst the Tresco Abbey Garden was epic, I don't mean to suggest that it's the only attraction on the islands. The miles of lovely sandy beaches are well worth a visit too. And there's a lot of fun to be had just messing about in boats, or diving to find some of those shipwrecks. The islands were bitterly fought over during the English Civil War being held at different times by the Royalists and the Parliamentarians. As a result there are a few bits and pieces from that era to visit as well. The tower in the picture below was built as a garrison by the Parliamentarians and is known as Cromwell's Castle. The islands are a brilliant place to kick back, slow down and relax, and we had a great time doing just that. We pottered around at our own (rather slow) pace, ate very well and enjoyed one another's company. I'd definitely recommend them as a chilled out destination for a great family holiday. oh my goodness ... thank you for sharing your delightful day! The isle looks amazing ... between the sea and the gardens it looks like my kind of paradise! And you captured your day perfectly!! Bonny - what a lovely place, love the old Priory walls and the masthead collection. I never know whether it is better to have a plan or not. Either way you saw a lot of glorious gardens. What a lovely island and what an amazing garden! And what a fortunate gal you are to have spent the day there! What a great series of shots! I would love to visit there one day. Thanks for the virtual tour!